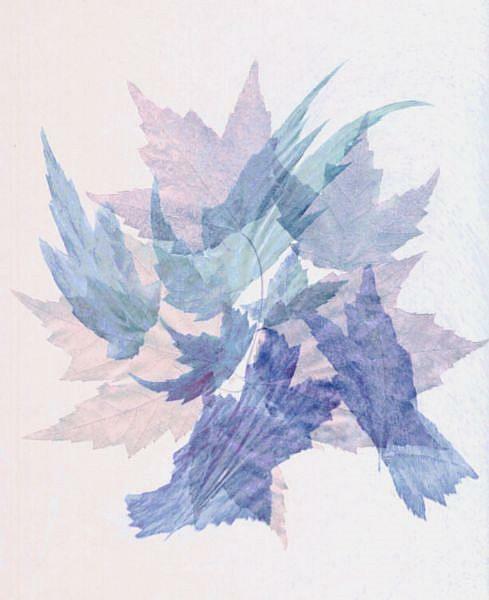 Image was created using a scanner and putting together multiple scans of leaves. They just seemed to dance when I was done! I love pastel colors and though these are not natural colors for leaves, I felt the image worked in pastel.